Unlike many competitors, we already offer our products molded on. 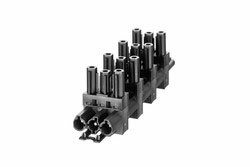 They are identical to standard parts from other manufacturers, so you do not have to worry about compatibility. The product liability of Müller Plastik applies here. 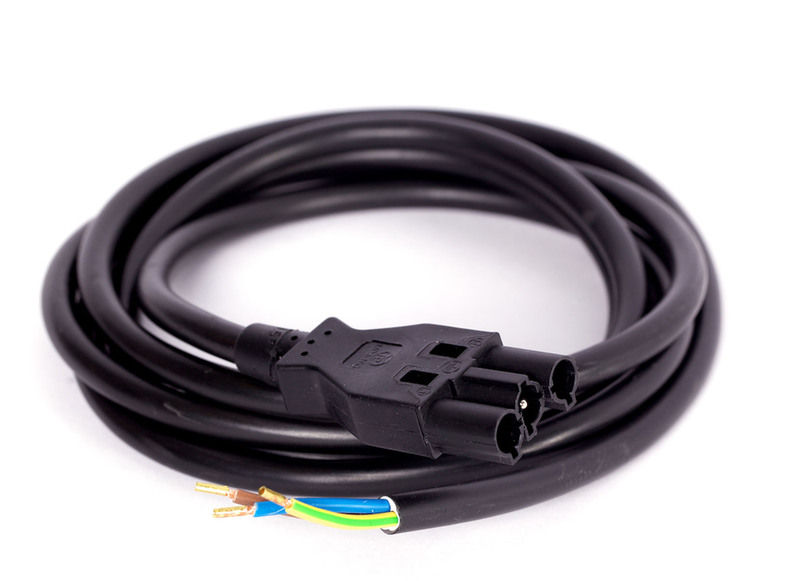 Our 3-pole mains cables with earthing plugs in the versions PVC resp. 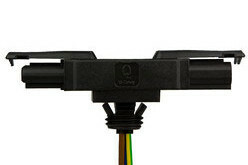 Halogen-free and after CPR have a Q1ST-3P socket and are between one and eight meters long. Other lengths can be offered on request. This also applies to the connection cables that are available with a H05VV-F 3G1.5 or 2.5 cable. 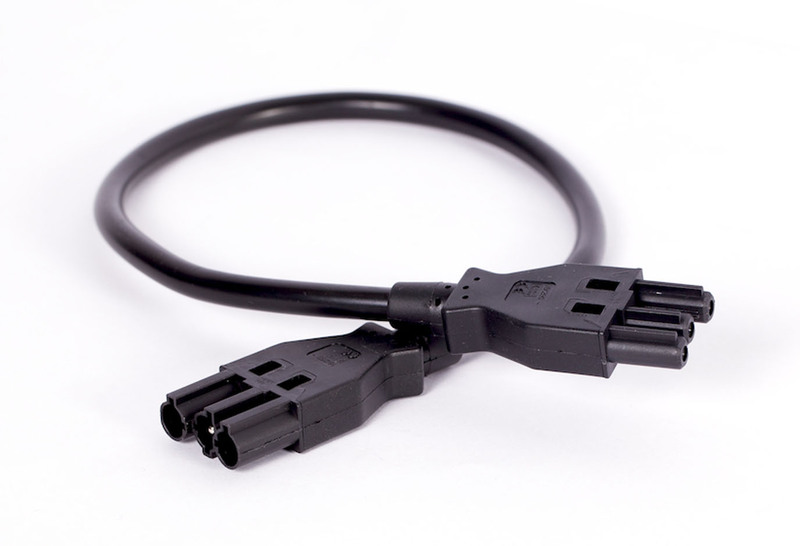 The connecting cables with 3-pin plug have a 30 mm long cable end, which is stripped and provided with 6 mm wire end ferrules. 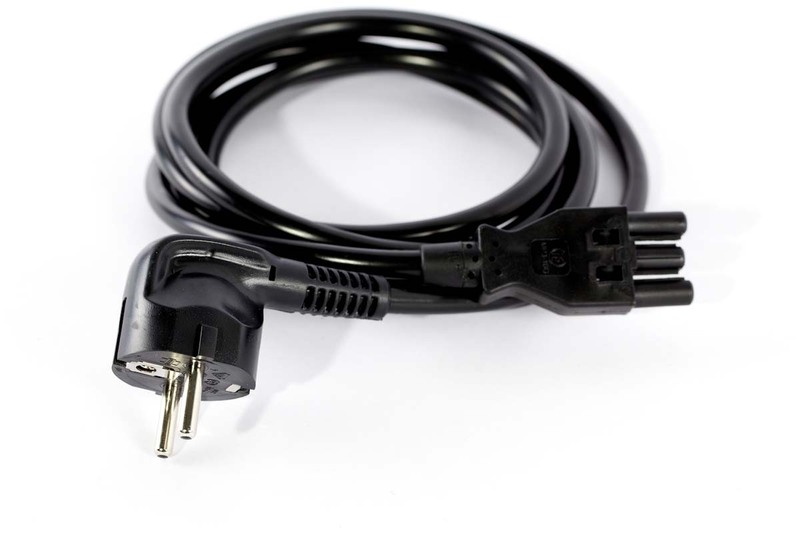 Connecting cables with plug and coupling in all common lengths are also available. Again, a distinction is made between H05VV-F, H05Z1Z1-F, CBR class Bca + Cca in 3G1.5 and 2.5 cables. Our 3-pole distributors are available as T-distributors, 1-3 and 1-5 distributors. The T-distributors have a plug input and two socket outputs as well as a surface-protected contact part made of brass. The 1-3 distributors, on the other hand, have three, the 1-5 distributors have five socket outputs. With distributors, decentralized energy supplies can be realized just as easily as building automation. You want a particularly fast and cost-effective installation of transformers or down lights? Then we recommend our Q-Tplugs with snap-in solution and / or screw protection. All you need is a 15 mm round opening and you can connect your devices directly thanks to prefabricated individual strands. There are no additional strands required. That saves time and money. The extremely flat Q-Tugs by Müller Plastik can be rotated in any position and are particularly space-saving. Of course, our cables and plugs are certified and are therefore also ideal for high-quality lighting installation or Prefab shop construction, but also for offices and department stores. The connector of our connecting and connecting cables meets the stringent requirements of the standard EN 60320 in terms of contact safety of the socket, so that connection and disconnection under load is no problem. Our pre-assembled cables and distributors enable fast plug-and-play installation without time-consuming cutting and stripping.